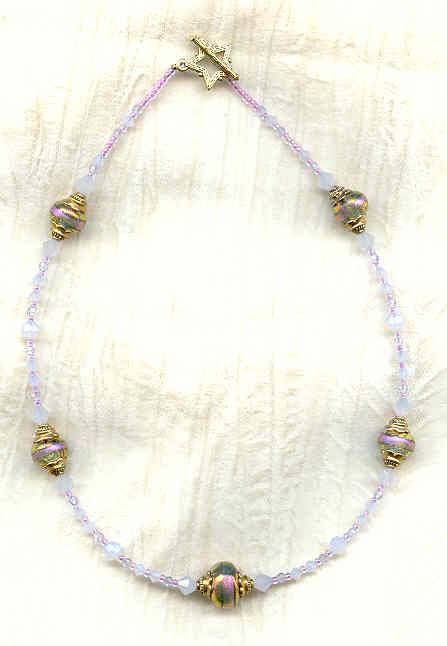 The fabulous Paula Radke has swirled shimmering shades of orchid and gold together in these dichroic lampwork beads. 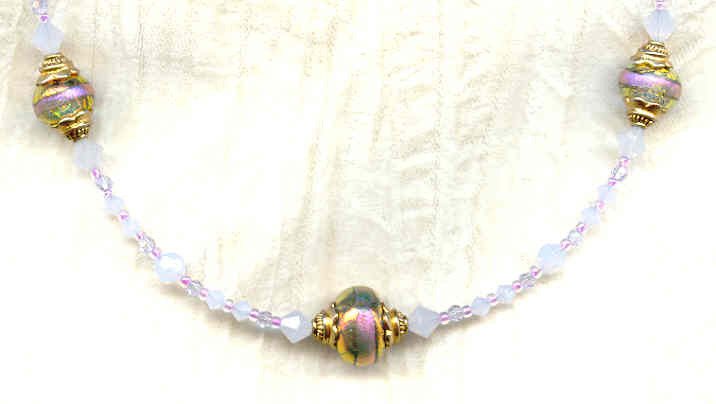 I've added Swarovski Crystal's violet opal colour in 4mm and 6mm bicones, and 6mm rounds; some sparkling 3mm round Swarovski violet crystal beads; orchid-coloured seed beads; and gold plate bead caps and toggle clasp. 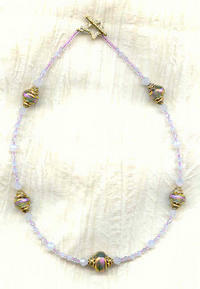 The strand is about 17" long. It's from SPARKLE PLENTY, of course! Exotic and romantic orchids have been worked in sterling silver filigree to make the focals for these earrings. Here's a posh home for your business or calling cards: a brushed brass top card case encrusted with a glittering array of vintage stones.